Kenya opened her embassy in Bonn, Germany in 1964 just after attaining her independence from Britain in 1963. It is therefore, one of the oldest African embassies in Germany. On 18th December, 2000, the Embassy moved to Berlin, following the relocation of the Federal capital from Bonn to Berlin. The Embassy is also accredited to Romania and Bulgaria. 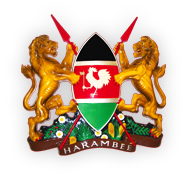 The Embassy remains closed on weekends and public holidays (both in Germany and Kenya). Take bus M29 in the direction of Herrmannplatz and drop at Charlotten Strasse. Follow Rudi Dutschke Strasse in an easterly direction, cross CharlottenStrasse and you will reach Markgrafenstrasse. Alternatively, you may take a Taxi from Zoologische Garten. Take the S.Bahn (Nos. 5, 7, 75 or 9) in the direction of Spandau , Zoo, or Wansee and drop at Friedrichstrasse S.Bahn Station. Thereafter take the U6 in the direction of Mariendorf and drop off at “Kochstr. U.St. Follow Rudi Dutschke Strasse in an easterly direction, cross Charlotten Strasse and you will reach Markgrafen Strasse. The distance from “Kochstr. U.St. to Markgrafenstr.63 is about 5 minutes walk. Take bus number 128 up to Kurt Schumacherplatz. Thereafter take the “U6” in the direction of Mariendorf and drop off at Kochstr. U.Station Follow Rudi Dutschke Strasse in an easterly direction, cross Charlotten Strasse and you will reach Markgrafen Strasse. Take the “S 45 to Tempelhof . Thereafter continue with the U6 and drop off at Koch Strasse. Or take the S9” or Regional Train in the direction of Charlottenburg and drop off at Friedrichstr. “SB.Station”. Thereafter take the “U6” in the direction of Mariendorf and drop off at “Kochstr. U.Station”. Follow Rudi Dutschke Strasse in an easterly direction, cross Charlotten Strasse and you will reach Markgrafen Strasse.